Hurricane Irma has left a mess behind, and it has cost Florida a lot of money. However, one of the questions people will have involves their cars. How will those be shipped back into the state if necessary? Is there a way to make sure this process is done as smoothly as possible without having to do it yourself or needing to pay up too much? This is a legitimate question, and one everyone in this position should be asking. In the end, this is the right service for those who want to ensure their car shipping needs are met immediately. It is the speed that is going to determine how happy you are with the car shipping service. This is a team that sets the deadline based on what has been promised to the client, and nothing gets in the way of this promise. The goal is to make sure the vehicle is on time and in some cases before the time that has been promised. This is a team that is quick, proven, and ready to put in the time to make you smile. Car owners will know this is the right option after Hurricane Irma. A solution that isn’t seamless will be one that is going to waste your time. 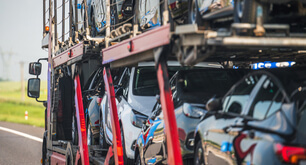 You want to go with a car shipping service that’s able to do things properly and make sure it is as seamless as possible. This means you are not going to get trapped with a ridiculous amount of forms nor will you have to keep monitoring what is going on with the car. with those who have years of experience and know what it takes to deal with a hurricane such as Irma. It is empowering for car owners who want the best. It is important to go with a service that can ship the car legally. No one wants to get in trouble with the government at a time where the hurricane has caused a lot of damage. A lot is going on, and this is not the time to get stuck in a government case where the car doesn’t move anywhere because you broke the law. It is best to go with a team that is on top of things and will make sure everything works out legally. This is a car shipping service that will simplify the idea of maximizing results and will guarantee top-tier service immediately. You will be able to call in, book an appointment, and make sure the car is shipped to you as soon as possible. This is the easiest way to make sure everything is done the right way without hindrances. Never choose those who are going to create new delays and might put you in a position where the car never reaches. Keep it simple and go with this car shipping service for suitable results.